What the BBC is doing to stay relevant. Here is an interesting view about how they are changing things at BB1 in England courtesy of The Huffington Post. Note that Rajar is the English audience measurement service. Remember the day you got your exam results? Remember all that emotion in one moment? Some people celebrating, some crying. It felt like your whole life depended on those results, but can you remember what grades you got? Did those results really tell you how successful in life you or your friends were going to be? This week the Rajar figures came out – the exam results for radio stations. The quarterly numbers tell us how many people listen to a station and for how long. Traditional radio listening to Radio 1 went down. Why? Because Radio 1 is caught between a rock and a hard place. We have been asked to lose older audiences and focus younger to create more room for commercial radio stations to thrive in their favoured markets. This has risks. By trying to shed older listeners who grew up listening for long parts of the day, and with potential new listeners growing up with busier media lives, this week’s Rajar results were always going to happen. It was a case of when rather than if. The bad news is that Radio 1 lost 700,000 listeners. The good news is that over half a million of them were over the age of 30. And if you look at the drop in audience to our Breakfast Show, 90% of them were over 30 years old. And lest we forget, we are still reaching 10.5million listeners over the age of 10 years old, but this must not distract from the bigger more important issue – of attracting the next generation of radio audiences. That’s why looking at today’s Rajar figures is like a publisher only looking at the book sales from a high street bookshop, rather than taking into account how they are doing on Amazon. Or nearer to home, a singer who only looks at CD sales, rather than taking into account digital downloads, streaming and ticket sales. Young people still love music, young people still love hearing about what is important in their lives and young people still love Radio 1 – they are just consuming it in different ways. Radio 1 is the biggest radio station in the world on YouTube. Our channel has had over half a billion views in the last two years, in the first quarter of this year we got 30million views just in the UK and we have over 2million subscribers. And on social media we are the biggest radio station in the UK on Facebook and Twitter. And our new BBC iPlayer channel is now getting a million views a month. So I’m upbeat, because the future is bright, as Radio 1 is changing the definition of what a radio station actually is. Last week about a hundred teenagers gathered in Norwich to hear about ‘A Day in the Life of Nick Grimshaw’ as part of our build up to Radio 1’s Big Weekend. His producer, Victoria, and myself accompanied him on stage giving insights into what goes into making his show and what it takes to get a job in the industry. It also gave me the chance to ask the audience some questions. ‘How many of you own a radio set?’ …about 12 hands went up ‘How many of you own a smartphone?’ …nearly every hand went up ‘How many of you have watched a video from Radio 1?’ …every hand went up. The latest research shows that 80% of all 15 year olds in the UK have a smartphone, and that on a smartphone streaming music is the 14th most popular activity, and listening to the radio is 33rd. All that time spent playing Candy Crush, checking your mum hasn’t embarrassed you on Facebook or just texting the latest emoji’s, means time not tuned into a radio station. Now that is a problem, but hopefully only a short term one and more importantly a long term opportunity. 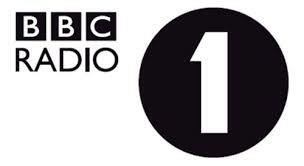 At Radio 1 and 1Xtra we are predicting the future by inventing it ourselves. Over three years ago we stopped just thinking about transmitters and radio sets, and started thinking about smartphones and iPads and social media platforms as a means of distributing our content to a generation that were not going to find us by turning a dial. We got some great results and as audiences demand more choice and control, I am determined that Radio 1 continues to innovate for the BBC and the radio industry at large. This week something else big happened which adds to the equation. Spotify and Deezer announced that they will be adding audio and video content to their music streams. And I’m sure that Apple and Zane Lowe will be joining the party very soon. So, we have streaming services trying to be radio stations and radio stations evolving online. We are all meeting in the middle…I believe biologists would call this convergent evolution…anyway…this is not by chance, or a bad thing, because this is what audiences want. Great curated music lists, great presenters, great conversations, great performances. Going forward radio stations will need to rely on their brand, their authenticity of their presenters and a strong sense of what they stand for in order to stand out and successfully compete in the market place with the streaming services, as well as all the other distractions that social media and gaming provide on your phone. Radio is changing. Radio 1 is changing. I’m up for the challenge to continue to represent young people’s culture in UK society in new ways from the BBC. All I would ask is don’t just use one measure to judge how successful Radio 1 is. Especially when our young audience is consuming us on smartphones, iPads and TVs, as well as a good old fashioned radio set like the one I listened to the night I failed my A-Levels.